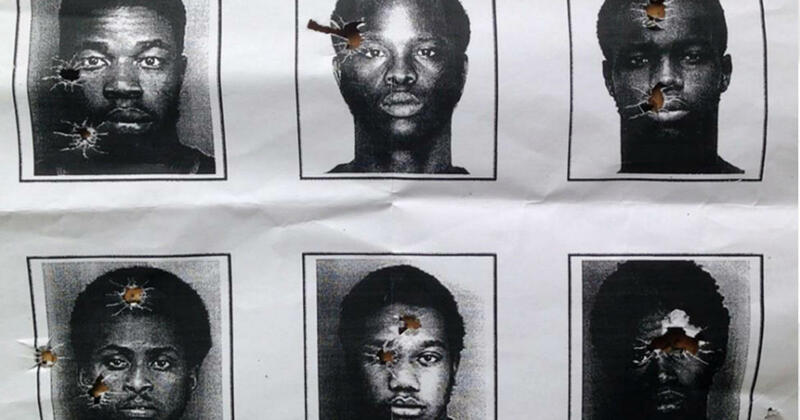 A South Florida family is outraged at North Miami Beach Police after mug shots of African American men were used as targets at a shooting range for police training. It was an ordinary Saturday morning last month when Sgt. Valerie Deant arrived at the shooting range in Medley, or so she thought. Deant, who plays clarinet with the Florida Army National Guard’s 13th Army Band, and her fellow soldiers were at the shooting range for their annual weapons qualifications training. What the soldiers discovered when they entered the range made them angry: mug shots of African American men apparently used as targets by North Miami Beach Police snipers, who had used the range before the Guardsmen. A South Florida police department is under fire after getting caught using photos of black criminals for target practice. Perhaps Valerie should stick to playing the clarinet. When 6.5 percent commit over half the murders is it good police work or racial stereotyping. I call it good police work.